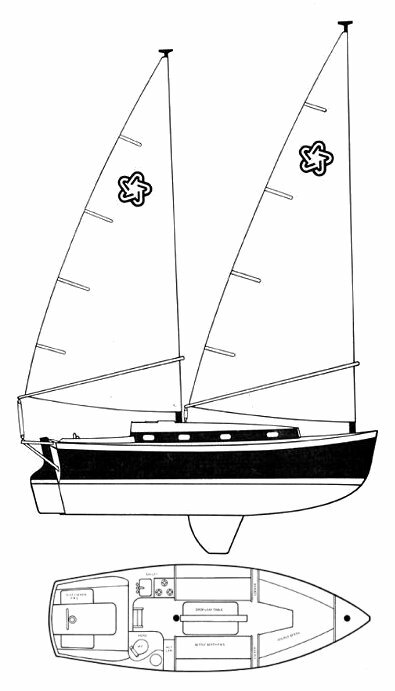 When introduced the FREEDOM 28 CAT KETCH featured free-standing carbon spars, wrap-around sails with wishbone type booms, (as shown here: The sleeved sails and wishbones were later abandoned for a more conventional sail attachment arrangement and standard booms. 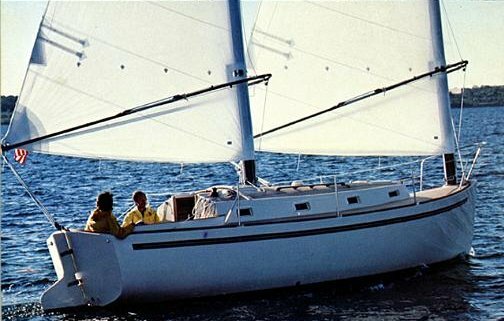 A similar model was built under license and sold in the UK (from a number of different yards) as the FREEDOM 30. Thanks to 'vellofello' for providing additional information about the English version.